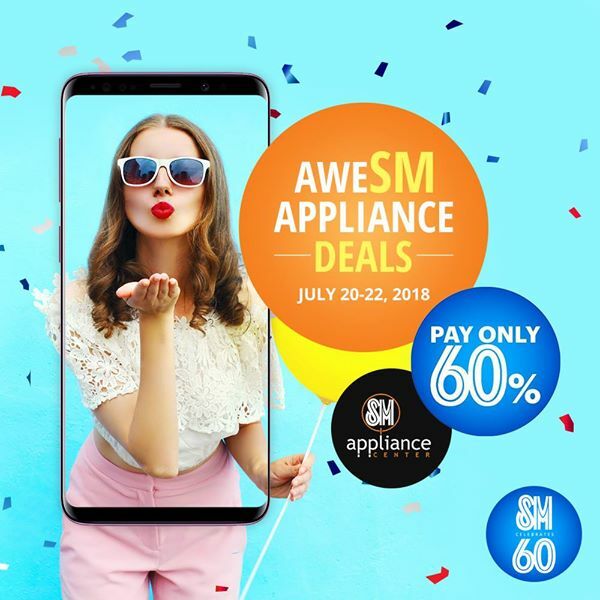 SM's 60th Celebration Deals are back! Check out SM's #AweSM Weekend SALE! 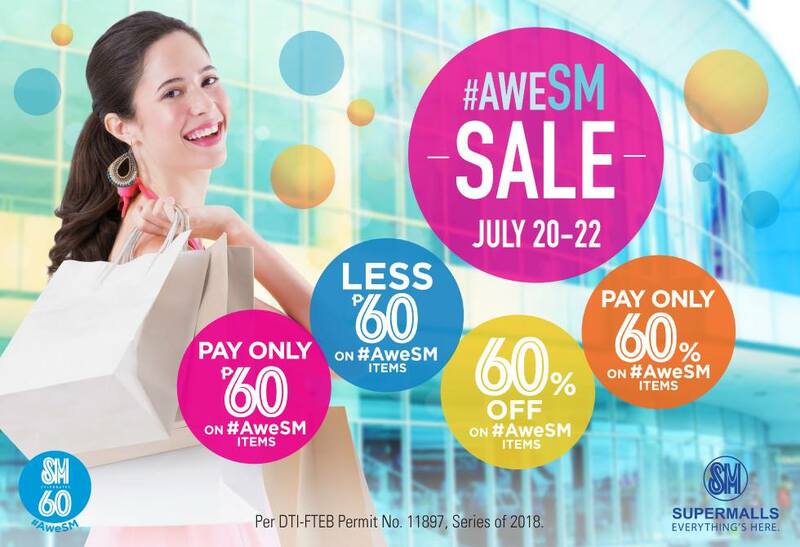 Fill up your shopping bags with AweSM Weekend deals from July 20-22, 2018 from participating stores (like The SM Store, SM Appliance Center, other SM Retail Stores) in all SM Malls nationwide! Get exclusive 60% deals on select items: 60% OFF, Pay Only 60%, and Buy 1, Get 2nd item at 60% OFF.